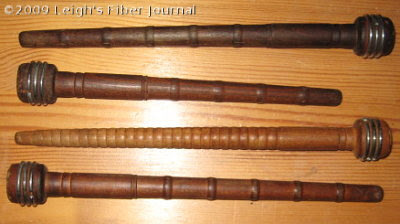 Leigh's Fiber Journal: I Have Pirns! These are for my bargain shuttle. They were passed on to me by Barb, after they were passed on to her. I feel equipped! Now, I freely confess that it will be awhile before I get to try my new shuttle. 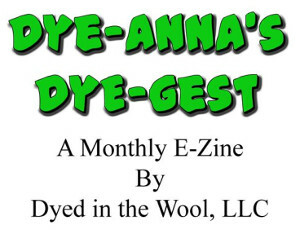 I'm still cutting rags for the rag rug I'm planning for the bedroom, and that will be the first project on my loom once I can get back to weaving. But I will definitely be learning to use it in the not so distant future. So, a heartfelt thanks to Barb, and also to everyone who left me helpful and encouraging comments about my new shuttle. All are very much appreciated. Yay!! It's like a surprise bloggy Christmas gift!! I'm impressed that you've got a weaving project on the horizon with all the house projects you've been doing! They look good, but I'm wondering do the pirns fit the shuttle? I have to use different pirns with my different shuttles. I guess there's no cure for it - sigh. I'd better start collecting aluminum cans so I can afford an end-feed shuttle. I'm not going to find one in a thrift store in Northern Nevada! If those pirns don't fit your shuttle, check at flea markets and antique markets. I've seen a variety of them at more than reasonable prices. One place was 3/$1 ... though they are more usually between $1 and $3 a piece. A girlfriend even brought me back one from a Vermont holiday which was 50cents! They are all slightly different though, so no telling which will fit what shuttle. You can never have too many pirns! Look forward to seeing them wearing yarn!